Born into military family, Charniele moved often as child before landing permanently in Northern Virginia. When she was a teenager, Charniele’s mother lost her job and despite their best efforts they ended up homeless. For a time, Charniele and her mother stayed in a homeless shelter at nights while Charniele attended West Springfield High School during the day and her mother searched for work. The experience of being homeless shaped Charniele’s character and taught her the values of hard work, resilience and looking out for those people society often overlooks. Charniele got the chance to attend college as part of the STEP Program that allowed students from disadvantaged backgrounds the opportunity to prove they were capable of college level work. She commuted to George Mason for four years and graduated with a degree in Economics, and while she was in school she gave back as a volunteer crisis intervention counselor and trainer at Alexandria Mental Health Services and worked with nonprofit advocates on issues surrounding homelessness prevention. Charniele’s first job out of college was as a VISTA volunteer providing low-income housing for at-risk families before attending law school at Catholic University’s Columbus School of Law. After law school, Charniele worked at the oldest African-American owned firm in Greater Washington before opening up her own firm here in Northern Virginia. She currently works as General Counsel to Admin & Logistics, Inc, a government contracting firm. Charniele has lived in Northern Virginia area for over 30 years, most of them in the West End of Alexandria. Charniele has a rich history of community involvement as a volunteer, a member of Rotary, and a past Chair of the West End Business Association. She has served on the Alexandria Commission for Women, including Chairing the organization. She was also appointed by Governor Tim Kaine to the state’s Council on the Status of Women. 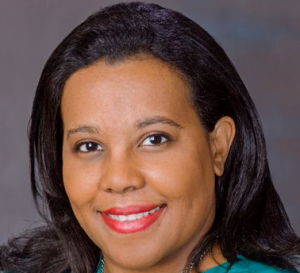 She presently serves on the Board of the Parent Teacher Leadership Institute of Alexandria and as a Trustee of Hopkins House—advocating for strong pre-k education. As a participant with Social Action Linking Together (S.A.L.T.) she received the Monsignor Geno Baroni Award for Social Justice for her work to get full funding for the Homeless Intervention Act. She founded and co-chaired the Virginia Privileged Communication Task Force which was comprised of counselors and advocates around the state. She worked with a bi-partisan delegation to get a bill sponsored to protect communications between victims and advocates. Charniele was elected to the General Assembly in January 2009 in a special election to fill the vacated seat for the 46th House District. Her election is historic because she is the first African American woman from Northern Virginia ever elected to the over 400 year old Virginia legislature. Since her election, Delegate Herring has served on the Joint Subcommittee Studying Strategies and Models for Substance Abuse Prevention and Treatment, Governor McDonnell’s internal working group on voting rights restoration, the Virginia State Crime Commission, and Governor McAuliffe’s Taskforce on Heroin and Prescription Drugs. In the legislature Herring serves on the Courts of Justice and Counties, Cities, and Towns Committees. When Charniele got to Richmond there was no organized caucus for the issue of women’s health care. So she founded the Virginia Legislative Reproductive Health Caucus to educate legislators about women’s health care, birth control, and attacks on a woman’s right to choose. When Governor Bob McDonnell introduced his bill to require women seeking an abortion undergo a forced ultrasound, Charniele convinced leadership of her own party to fight back and take an official stand opposing McDonnell. Herring’s fight against McDonnell’s ultrasound bill and other attacks on women’s health care was described as “heroic” by the National Organization for Women. 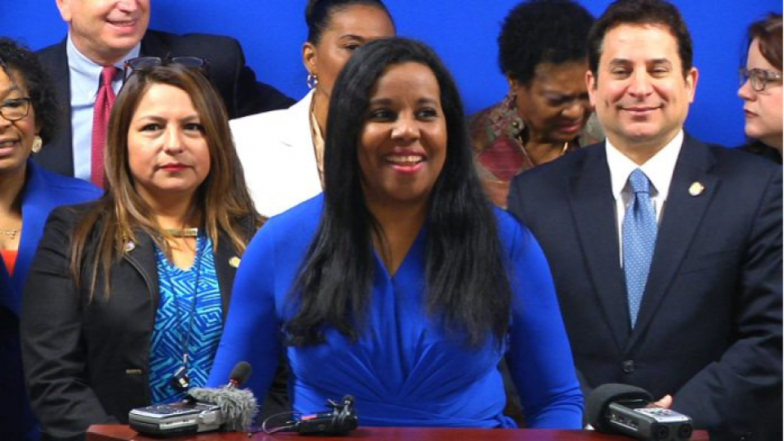 During her time in the House, Charniele has quickly risen in the leadership of the Democratic caucus, while becoming a national leader in the fight to protect women’s health care. She has accomplished much in her few years in the legislature, among them are her successful fight to restore funding for homeless services in Virginia’s 2010-2011 biennial budget, the passage of her bill to give small businesses a competitive advantage in the state’s procurement process, and her work to make the Commonwealth a safer place. Her environmental stewardship has been recognized by the Virginia League of Conservation Voters with the Legislative Hero Award. She was also recognized in 2009 by the Virginia Education Association for her commitment to a good education for all Virginia’s children with the Rookie of the Year award and in 2013 and 2015 with the “Solid as a Rock” Award. A past chair of the Virginia’s Democratic Party, helping sweep statewide offices in 2013, Herring was elected Chair of the House Democratic Caucus in 2015. At age 13, during the presidency of Ronald Reagan, Herring testified before a government commission about health care coverage for military dependent children. Virginia Governor Tim Kaine appointed Herring to the state’s Council on the Status of Women. In 2006, she attended the Political Leaders Program at the University of Virginia’s Sorensen Institute for Political Leadership. From personal experience I know that education is key to our children’s future success. I will work to fund quality pre-K education for all of Virginia’s children; promote personal curriculums in our schools; and for higher teacher salaries to attract and maintain quality teachers for our children. John Adams and Tucker Elementary School are overcrowded. We need someone ready to work now to get funding for the expansion of these schools. This is crucial given the expected development of Landmark Mall, the Van Dorn corridor and the new housing along the Beauregard Corridor. At the age of thirteen, I testified before a White House committee about the need to maintain healthcare benefits for children of military families. I understand the importance of quality healthcare and the fear that one faces when struck with an illness and lack of the means to pay for treatment. Healthcare is a matter of human dignity. I support universal healthcare and will work to ensure that Virginia fully funds healthcare for those who cannot afford to cover themselves through private insurance companies. I have worked to protect the interests of families by working with housing groups to get funding for the Homeless Intervention Protection Act expanded. In the face of our challenging economic times families are facing foreclosures and rising costs of rental housing. I will work to protect programs that currently protect families from ending up on the streets. Ever since I moved to Northern Virginia, traffic has been an issue. I am tired of hearing about the issue and seeing no resolution. I will work to get funding into a lock box for our roads and infrastructure once and for all. After a long day at work, we all want to spend less time on the roads and more time with our families. If you have any questions for Charniele Herring, send them to Virginia onAir at virginia@onair.cc. Virginia will first see if Charniele Herring has answered your question somewhere else. If they haven't, Virginia will pass on your question to Charniele Herring and post their answer, if they have one. If you have any suggestions for Charniele Herring, especially if you are a current or former constituent, send them to Virginia onAir at virginia@onair.cc. Virginia will record your suggestions here. If you have something positive to say about Charniele Herring and you are a Virginia onAir Hub member, send your recommendations to Virginia onAir at virginia@onair.cc. My name is Virginia onAir. I am the lead curator for this Charniele Herring post.